TIME and ALL they TREASURE. I wanna taste the colors of the rainbow, For I have seen the ugliness of darkness. Under the sun I have burnt, But felt good to be kissed by the evening winds. In the raging rains I have soaked and felt how it is like. I lost my heart and mind , Now I have no home, I even envy the street child because he has a home, the streets. Now am a wonderer, am a searcher, Searching for the unsearchable, hunting for the un-hunted. Am homeless in my own home, I wanna look down at the skies and smile. I have troubled, I have crumbled, Down I have gone, many times, But I have risen, more than many times. I have trusted my wings to carry me again and again, Because there is power, higher in the air, than deep in the ground, six feet. Because there is more hope in sunset than sun rise. My taxes , their pockets inflated, mine perforated My healthcare deteriorated, theirs over rated My education system nascent still, others Harvard, oxford, cambridge My roads muddy, theirs tarmacked, passports diplomatic And without care you watch, scalene triangle. Make us equal scalene, we are. Colorblind now tell me how you see all this. You are a god, man you are god,, a sleeping god. Sleep is evil. Be wide awake even in your deepest of sleeps and you will walk majestically in the den of lions and will live without fear in the pit of the deadliest of vipers , I guarantee you to remain unshaken in the strongest of storms or the mightiest of quakes and neither will you sink in the violent of waves. Just have the kind of faith to walk through the doors of hell unburnt. I can’t help but watch as she fades into distance but not my mind and soul. I’m in love, I love the chiefs’ daughter, with every nerve root. I’m in love, I love the chiefs’ daughter, my bones can tell. I’m in love, I love the chiefs’ daughter to the marrow. if man surrendered to life, let the world know he did it with unprecedented grace that he may live longer than his troubled thoughts. A heartfelt love for the new day. I sing the hummingbirds song , I sing like an Indian goddess. Strength that replenishes my soul. I sing the hummingbirds song I sing like an Indian goddess. Life that every creature desires. I sing the hummingbirds, song I sing like an Indian goddess. Branches unfamiliar but that I still call home. I sing the hummingbirds song, I sing like an Indian goddess. I have a life just like you’ I am a tree. I have a life just like you, I am a tree. You ink on me, love and hate, all that I watch silently. I like it when my brain slowly from "sleep", like all life anticipates the first raindrops of the first rains after a drought, then reacts like two explosive chemicals or acids mixed, then ..everything calms down like the last roar of a storm or the last drop of a torrent..life once again comes back to peace and another different cycle takes over. Discover the universe while it still has given you the chance to. 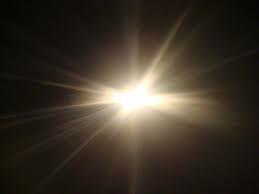 One day you won't see anything if you don't create light today that you will use to disperse darkness tomorrow. Some people travel to space in spacesuits while others travel to space on hard stools. The two are equally important because the once in spacesuits more than once first traveled to space while on a hard stool. And walk on these less trodden, thorny, dreaded and forgotten paths. Ooh resting souls how lucky you are. Breathe the air of life that you may still live again. Lucky you are ooh resting souls.